Your Current Planters. The Latest Technologies. 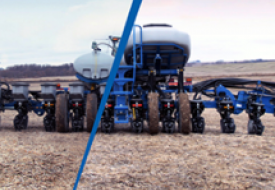 Update existing Kinze planters with yield-boosting, profit-increasing technology. 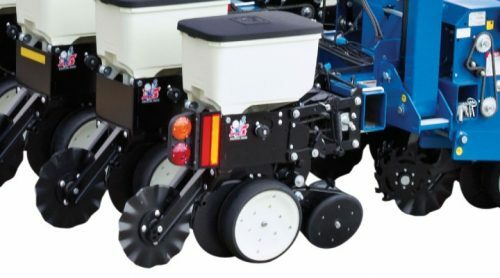 Retrofit kits improve seed depth control and spacing, enable variable rate planting, reduce seed waste, and improve planting performance. 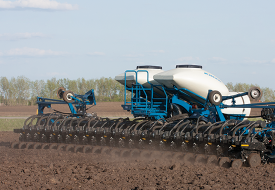 Improve seed spacing precision. Upgrade to superior singulation and precise placement by replacing existing mechanical or EdgeVac meters with the Kinze True RateTM vacuum meter. 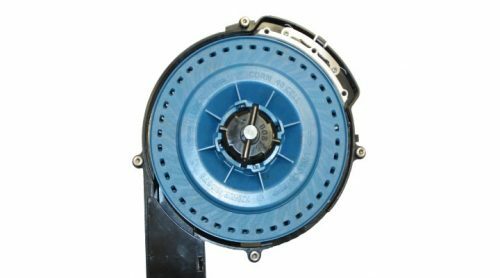 This vacuum meter has a consistent seed drop position resulting in precise seed placement and 99+% accuracy, even at planting speeds up to 8 mph. Diminish overplanting. Reduce seed cost and maximize yield by eliminating overplanting at end rows, point rows, and in irregularly-shaped fields. Plant at variable rates. 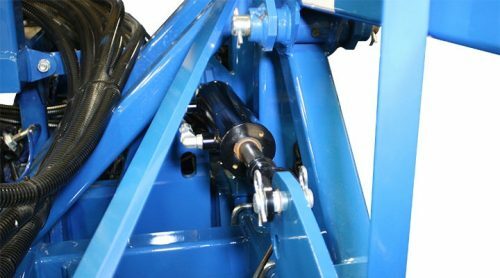 Match seed population to soil types by adding a hydraulic drive retrofit kit. 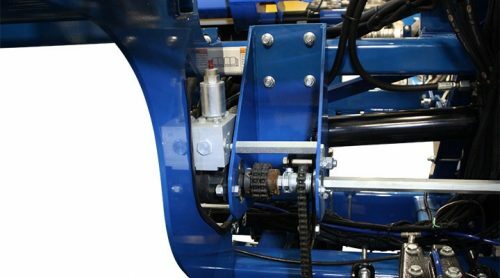 The hydraulic drive enables adjustment of planting rates on-the-go from the cab using field prescription maps or by manual control. 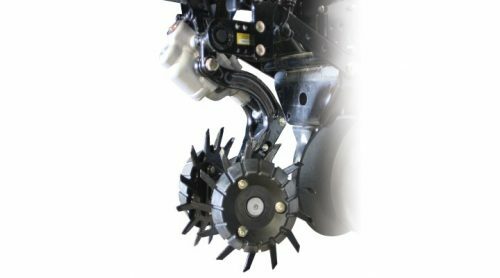 Reduce pinch row compaction and maintain row unit contact with the ground by transferring weight away from the center of the planter. 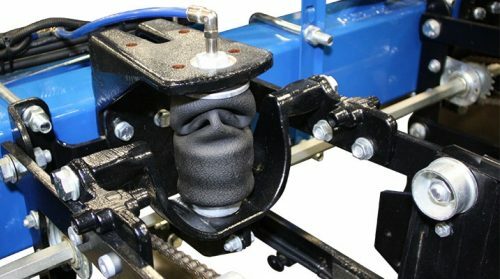 The hydraulic weight transfer system comes standard on many Kinze planters. Provide uniform seed depth. Proper seed depth across the planter is critical for consistent emergence leading to higher yield potential. 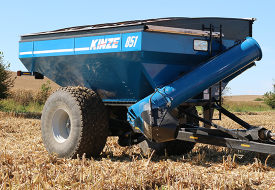 The Kinze pneumatic downforce retrofit kit ensures consistent seed depth by maintaining consistent downforce at each row unit. 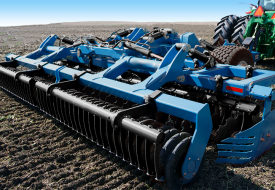 Avoid running tractor tires on damaging corn stubble when planting 15-inch no-till beans by adding a Kinze even row push unit. 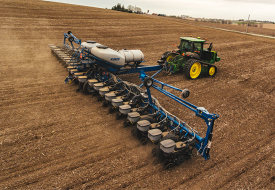 Also benefit from a smoother planter ride, more accurate seed placement and depth, and utilizing the full width of the planter. Reduce seed trench compaction. To improve root penetration of seedlings, the sidewalls of the seed trench need to be firm but not compacted. 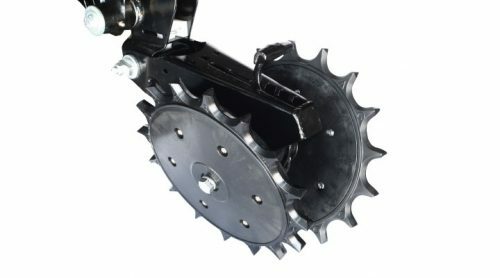 The angular tooth design of this closing wheel promotes consistent plant emergence—especially in tough no-till conditions and saturated soils. 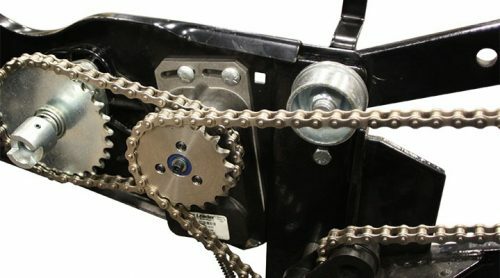 Easily clear heavy crop residue from the seed trench with these hydraulically adjustable row cleaners. Row units across the width of the planter operate smoother and provide a more consistent seed depth and crop emergence.